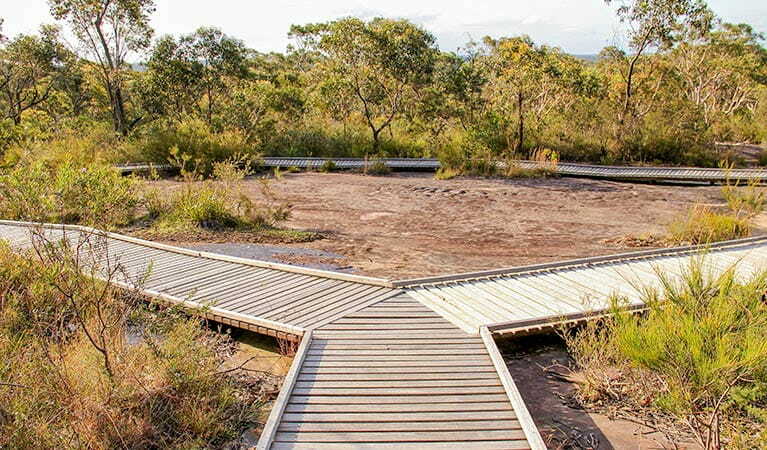 Brisbane Water National Park, near Kariong, is home to the amazing Bulgandry Art Site Aboriginal Place. 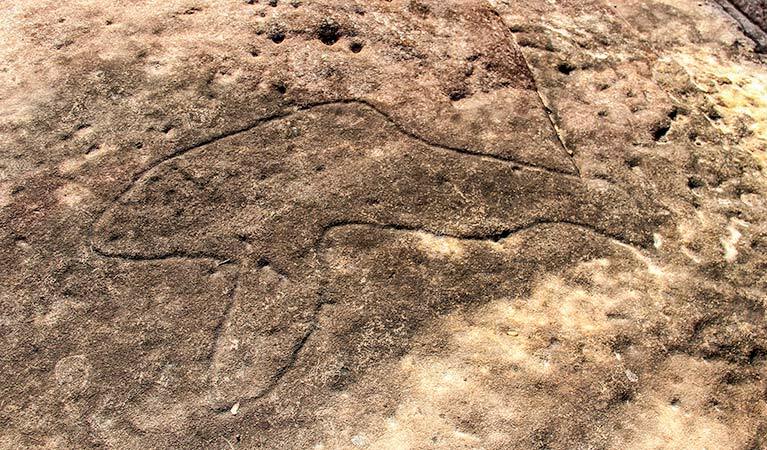 Visit this sacred Indigenous site to see incredible Aboriginal rock art. Bulgandry Art Site Aboriginal Place in Brisbane Water National Park is a special landscape, rich in ancient Aboriginal rock art of the Guringai People. There’s a wide range of well-preserved engravings to see; most of them are more than 200 years old with many perhaps ten times that age. The name Bulgandry belongs to the large engraving of a man thought to represent an ancestral hero, depicted with an impressive headdress. You’ll also see wallabies, fish, a dolphin and what's thought to be a canoe and a bird. 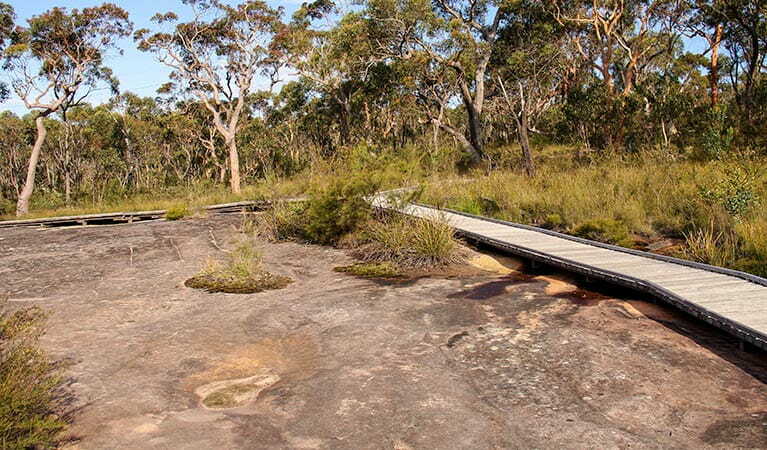 Keep walking to see some stone tool sharpening grooves nearby, or simply take in the site’s beautiful bush surroundings. 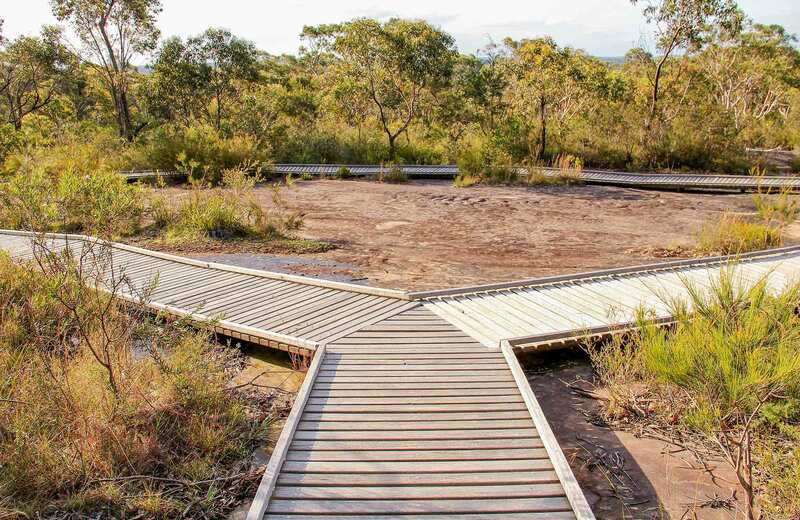 Indigenous sites such as Bulgandry provide valuable insight into Aboriginal traditions, past lifestyles and previous interactions with the environment. These sites are an important part of present-day Aboriginal culture, so please remember to tread carefully and with respect. Monday to Friday, hours vary. 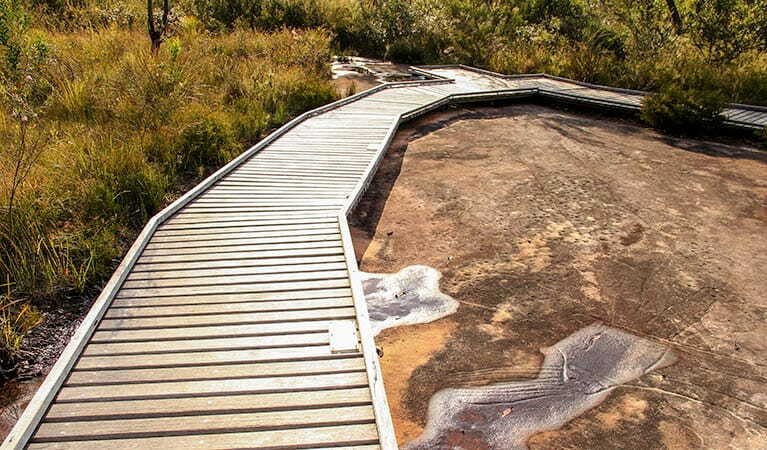 Other areas of Brisbane Water National Park will be open at all times, however may have to close at times due to poor weather or fire danger. $8 per vehicle per day applies at Girrakool and Somersby Falls picnic areas. The park has coin-operated pay and display machines - please bring correct coins. You will need a permit to hold a wedding or undertake commercial photography within the park.